It takes a team to build a tree house—but what if that team includes one very bossy moose? When Fox, Toad, Bear, Porcupine, and Skunk set out to build a tree house, they know just what to do: they’ll follow a plan and they’ll work as a team. 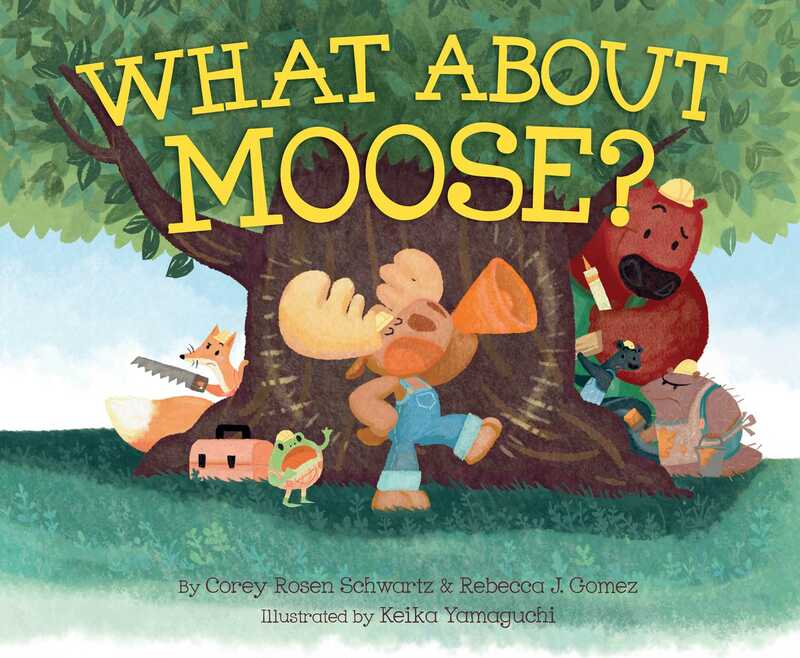 But when bossy Moose barges in and upends their plans with some of his own, his friends become more and more frustrated…until things go hilariously awry! Corey Rosen Schwartz is a fan of reading, rhyming, and writing with a partner. She is the mother of a bossy she-moose and a sensitive little fox who carries his toolbox everywhere. Visit her online at CoreyRosenSchwartz.com. Rebecca J. Gomez doesn’t know much about building a tree house, but she is an expert at setting up blanket forts! 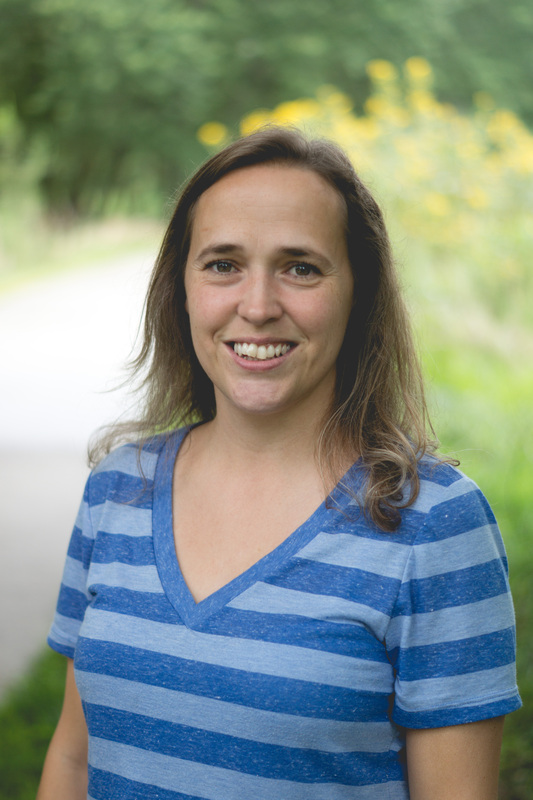 When she isn’t building forts or writing books, she enjoys reading, making recycled art, and hanging out with her family. She lives in Nebraska with her husband, three kids, two poodles and one parrotlet. Visit her online at RebeccaJGomez.com. Keika Yamaguchi fondly remembers secret hiding places she and her cousins played in as children. Though she always dreamed of building a tree house, it never happened. In drawing Moose and her friends, Keika has had a second chance at childhood fantasies. She lives in Los Angeles with her dog Ellie. Visit her online at KeikasHouse.com. "Schwartz and Gomez have crafted a pleasant tale in rhyming couplets about working together, pitching in, and planning ahead. The digitally rendered illustrations are colorful and full of activity as animals clad in work clothes tote tool boxes, measure, lift beams, nail, caulk, drill, and construct. The almost perfectly round Toad alone, clad in pink overalls and safety goggles, with a tiny yellow hard hat perched atop, is practically worth the price of admission. Gentle humor successfully communicates the importance of teamwork to young readers." "A rhyming, playful story.... The colorful images are soft and playful, with craftily illustrated angst-ridden faces of the forest animals.... The vocabulary is heavy at times, with caulking and dictator appearing among the many potentially unfamiliar words. But this offers a great opportunity to build some early literacy skills, along with the singsong rhyming text. VERDICT The life lesson of sharing and being polite are important ones, making this story a good read for most children." Book Cover Image (jpg): What About Moose?